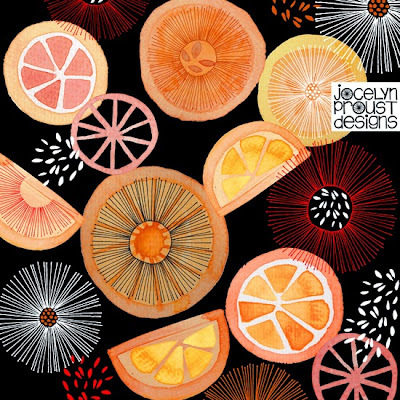 Jocelyn Proust is a designer who we last saw on P&P in 2009. 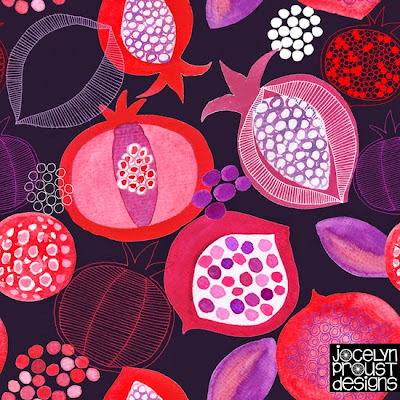 After seeing her work featured on Print and Pattern Jocelyn was approached by Annabel Trends (a company manufacturing all sorts of products in Australia) who wanted one of her designs for lovely tea-towels and aprons. 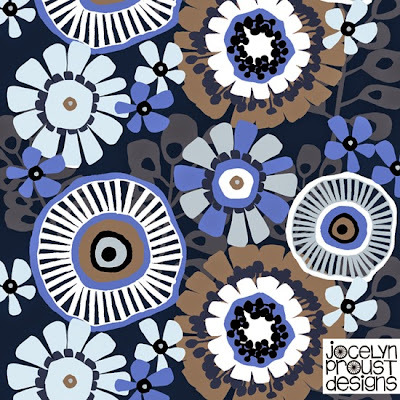 At the time Jocelyn wasn’t a pattern designer as such, and continued to work as a graphic designer and to hand paint tiles and ceramics. 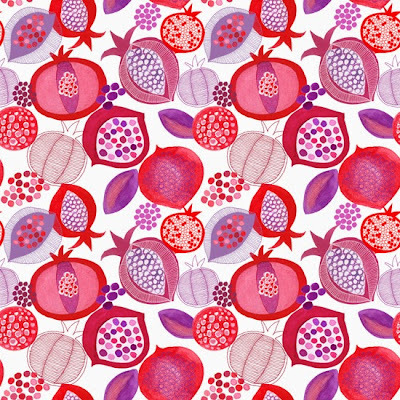 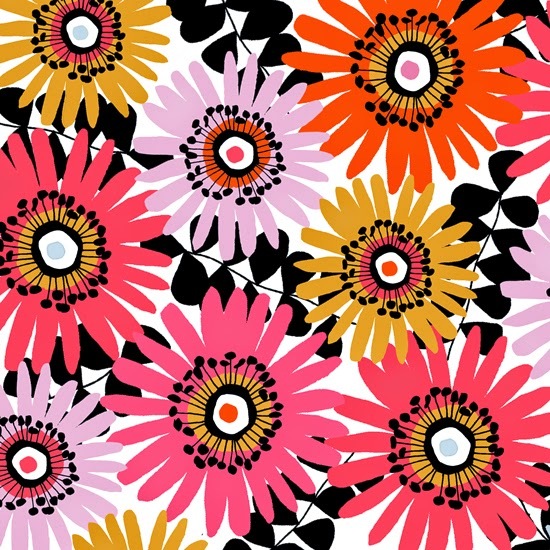 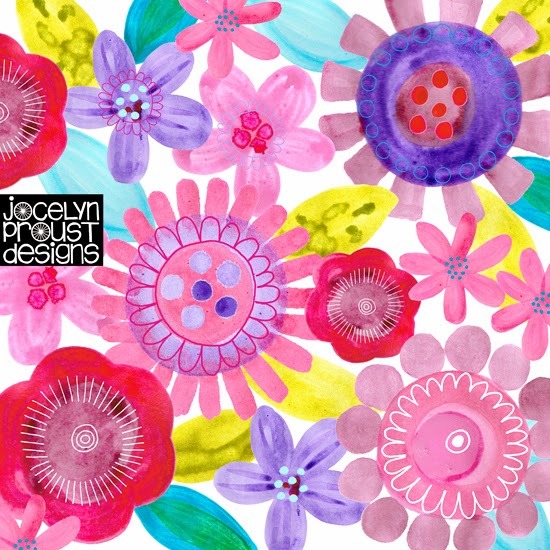 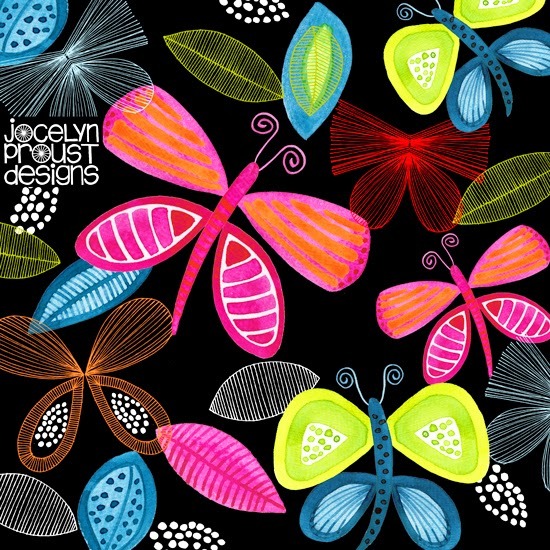 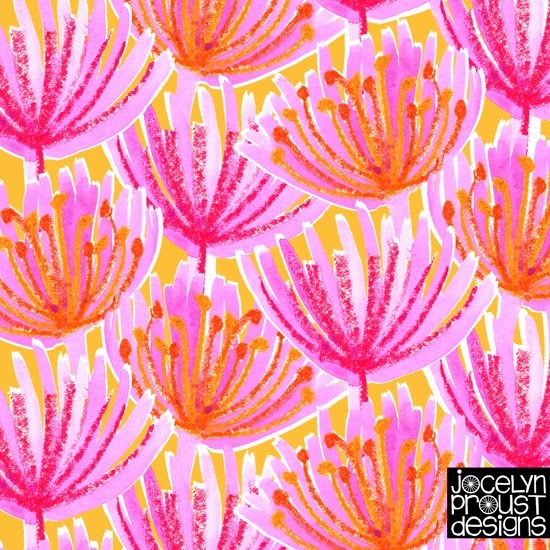 But now Jocelyn is doing more pattern design work and hoping to find similar companies to buy or license her designs. 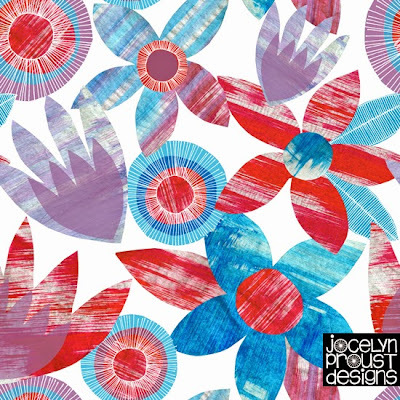 Here are some examples of her recent work which utilises watercolours, cut paper, oil pastels and collage to create the patterns. 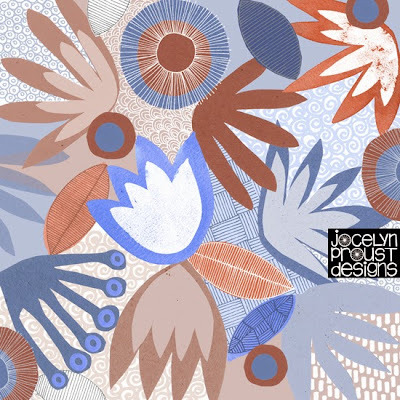 More work can be seen on Jocelyn's website here.